I promised a couple of weeks ago that we would explore in more detail how to discern reputable sources from those better left to themselves. I wish it were a completely straightforward process, however, in today’s world of “alternative facts” and “truthful hyperbole,” it’s becoming easier said than done. It’s worth making a momentary diversion to answer the question, “Why does it matter?” In the 24-hour news cycle, aren’t errors, even intentional falsehoods, identified and corrected almost immediately? 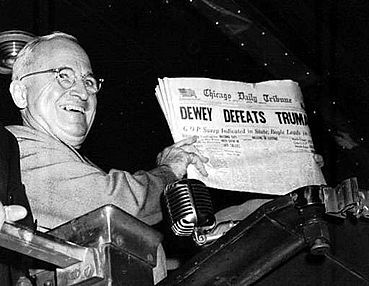 After all, it’s been a long time since we faced anything like the famous “Dewey Defeats Truman” fiasco of 1948. Right? Well, consider the situation that Anas Modamani has been in since he snapped a selfie in 2015 with Germany Chancellor Angela Merkel. A Syrian refugee who settled in Germany, Modamani’s selfie has been used repeatedly in slanted, or downright false, “stories.” Some went so far as to “identify” him as one of the perpetrators of the terrorist attacks last year in Brussels and Berlin. As quickly as the photo is taken down and corrections are posted, yet another misuse of the teenager’s image pops up again according to his attorney in this New York Times article. Yes, the 24-hour news cycle permits quick corrections but it also permits the falsehoods to spread like, well, a virus. Consider the man who fired a weapon repeatedly inside a DC pizzeria last year because he believed, based on a piece of news-like fiction, it was a front for a Satanic child abuse network. My point: This is serious stuff. There are several excellent articles out there with tips on spotting fake news. I like this rundown from CNN because it gives you insight into the subtle differences of journalistic malpractice: complete fabrications, slanted news, satire that is not identified as satire, and those other amalgamations that take a scrap of truth then add speculation and remove contextualization. National Public Radio also has some excellent observations in this piece. Your greatest weapons in the battle for “real facts,” are free and available to just about everyone: common sense and integrity. Common sense means you approach all the media you consume with a healthy dose of skepticism. If you are presented with something outlandish, scandalous, and unique to a single source, chances are it won’t pass the smell test. The following graphic caught my eye a year or so ago. Be careful what you “like,” share, Tweet, and quote. If you think you have some good information, share it and use it but also cite it so your customers/donors can do more digging if they want to. Also, if something goes wrong and the information is flawed, you can tell your stakeholders from where you got the data and why you thought it was credible. Without a citation, your reputation takes an additional hit because some people will assume you pulled the info out of thin air to begin with. And then there’s integrity. Something that foundational needs a post all of its own. Need help gathering data or discerning the credibility of a source? I’d love to help. The initial consultation is free. Top image: Associated Press photo, Nov. 3, 1948 by Byron Rollins. On inauguration day, I listened to the remarks from the 45th president of the United States on the radio. The next day, I read and watched coverage of the millions of people around the world, overwhelmingly in the U.S., who marched in opposition to his election. Since then, my iPhone hasn’t stopped pinging with news alerts relative to executive orders, cabinet confirmations, opposition speeches and the like. The New York Times is churning out so many opinion pieces conveying outrage, I’m wondering if they are even in the reporting business any more. And it’s only day three. So, by definition, hyperbole is not truthful (factual). 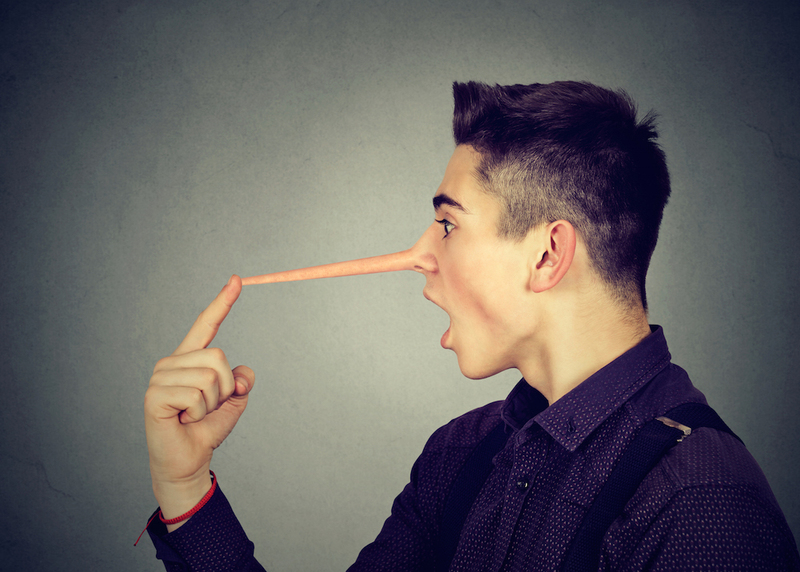 Therefore, if an individual or group presents “alternative facts” using “truthful hyperbole” as an acceptable standard, chances are they are lying through their collective teeth. Viewing the term in its strictest definition, “alternative facts” could mean facts provided by a reliable source that simply isn’t as well known as the source used most often and by the most people. For example: Consumer Reports historically has a great reputation for its reviews and reports, but does that mean articles from Reviewed.com are unreliable? Not necessarily. But make no mistake, “alternative facts” as easily debunked as those posited by the White House regarding the inauguration attendance are fabrication. often are mischaracterized as outright fabrication. The term “spin doctor” is pretty much synonymous with “snake oil salesman,” unless the latter happens to refer to selling a product that keeps your reptiles soft and scale-free. Questions? Do you need assistance in your public relations or marketing endeavors? Give me a call. I’d love to hear from you. Initial consultations are free of charge.